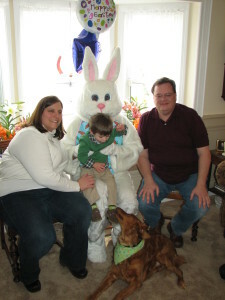 Hire the Easter Bunny for your next Spring Event! It’s that time of year again! Easter will be here before you know it! Do you have your bunny? If you don’t, there’s STILL time! E-mail justplainsillyballoon@gmail.com to find out how you can have the Easter Bunny entertain at your upcoming brunch, party, or egg hunt!